I have a confession to make: I don’t really listen to country music. It’s not that I don’t like it; I’m just more of a Glee fan myself. So after landing in the country music capital of Nashville, Tenn., I was a little apprehensive about how much I would have in common with everyone there. Thankfully, our dissimilarities began and ended with our taste in music. 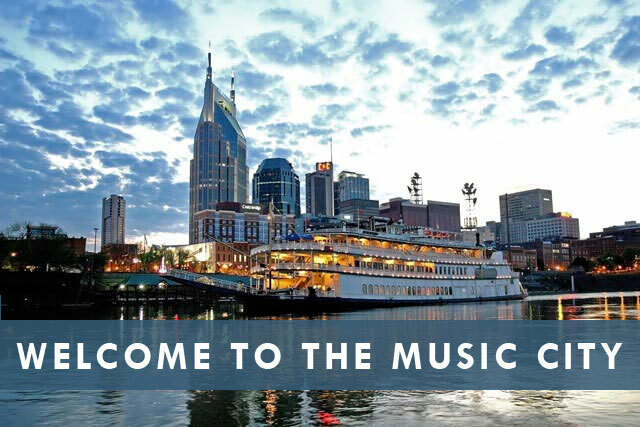 Assistant Director Debbie Kahler Doles and I recently traveled to Nashville to attend the National Scholarship Providers Association’s annual conference. While taking a break from various informational sessions, we were able to meet with some local Elks and Elks scholars for dinner. In the months leading up to our trip, this dinner is what I had been looking forward to the most. After working for the ENF for two years, this was going to be my first opportunity to meet Elks and Elks scholars in person. I couldn’t wait! For me, this was a chance to put faces with names, and meet the people who make our work possible and those who benefit from our programs. Upon arriving at the restaurant, Tennessee State Veteran’s Chair Dalton Jordan, and Tennessee State Scholarship Chair Jim Birdsong and his wife, Paulette, were already waiting for us. My first Elks! While we waited for our other guests to arrive, we had the chance to talk. I heard about the various projects my new friends were doing at their Lodges and throughout Tennessee. It was amazing to hear all of the outreach projects going on in their communities. These Elks are doing impressive things! As our Elks scholars began arriving and introducing themselves, it was wonderful to see such a variety of backgrounds, from an alumna working on her Ph.D., to freshmen experiencing their first midterms. They were all excited to meet the Elks who helped make their scholarships possible; for many of them, this was their first time meeting Elks too. It was such a joy to not only meet the Elks and Elks scholars, but to see them meet each other and swap stories of their times in school. That night, we were all members of the Elks family hanging out and sharing a meal. And like most families, we ate a little, we laughed a lot, and we have very different taste in music. The Elks National Foundation provides more than $3.6 million in college scholarships each year. For more information about our scholarship programs, including eligibility and deadlines, please visit www.elks.org/enf/scholars.